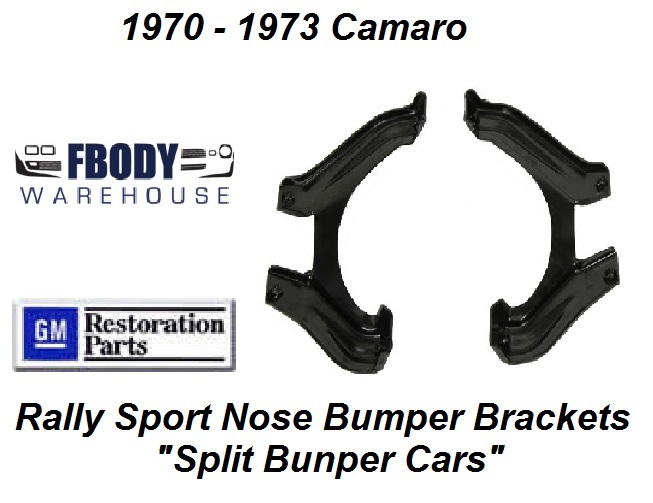 1970 - 1973 Camaro Urethane Nose to Radiator Support Brackets Pair Rally Sport Cars only. 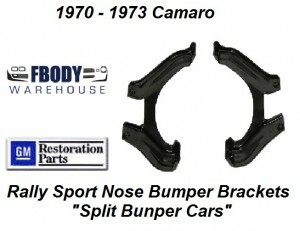 For use on 1970 1971 1972 1973 Camaro models with Rally Sport front nose. For use on 1970 1971 1972 1973 Camaro with Rally Sport Split Bumper Option.